An early morning fire on Sunday, October 30, 2016 claimed the life of a Landover resident. At around 3:20 am Prince George's County Firefighter/Medics were alerted to a house fire in the 1500 block of Ballinger Avenue and arrived to find fire showing from the second floor of a 3-story single family home. First arriving firefighters encountered an adult male in the front yard that had jumped from a second floor window to the ground to escape the fire. Firefighters initiated an aggressive interior attack on the fire and search for an occupant still inside the burning home. Within minutes a second floor bedroom fire was discovered and extinguished. During the primary search of the second floor an adult male was located in an adjacent room to the area of origin. He was pronounced deceased. The adult male that jumped from the second floor and one other occupant of the home were transported to an area hospital for additional evaluation and treatment. The home was found to have working smoke alarms. The cause of the fire remains under investigation with the estimated fire loss of $35,000. The deceased has been identified as Nevile Gilgeous, DOB 9-20-55, 61 years-of-age of Brooklyn, NY. 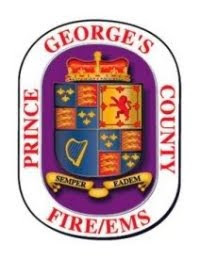 This is the eighth residential fire fatality recorded this year in Prince George’s County. edit on 11-9-2016 provided correct last known hometown location. Previoulsy listed as Landover, MD. On a beautiful, bright and brisk Monday morning a groundbreaking ceremony was held to ceremoniously start the construction of a new Prince George's County Community Fire/EMS Station. 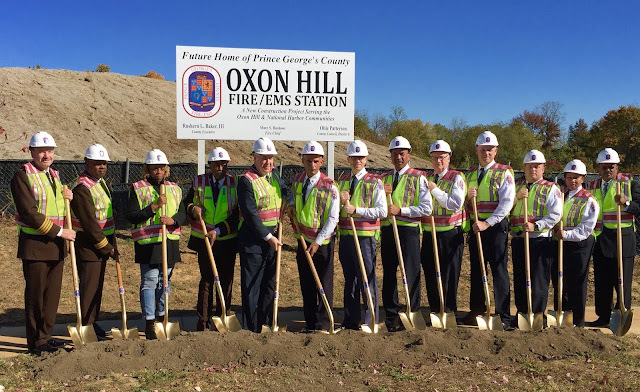 On Monday, November 7, Prince George's County officials spoke at the site of the soon to be built Fire/EMS Station 851, near the entrance to Oxon Hill High School on Clipper Way. The Oxon Hill Community Fire/EMS Station #851 is slated to be a 4-bay design similar to other recently constructed County facilities such as Brandywine, St. Joes, Northview and District Heights. Construction will start in 2017 with a completion date projected in late 2018. The Oxon Hill Community Fire/EMS Station is slated to house an engine, ladder, truck, ambulance and Battalion Chief. The station may also serve as a land base operations for some of the Department's boats in and around the National Harbor complex. Today's ceremony was well attended by Firefighter/Medics from stations around the area and County Public Safety officials including Deputy Chief Administrative Officer for Public Safety Mark Macaw, The Honorable Sheriff Melvin High and Police Chief Hank Stawinski as well as the Principal and staff from Oxon Hill High School.